Your roof is important to the integrity of your home, and anytime something is wrong with it you need to address the situation immediately. Here are three of the more common reasons it’s time to call a roofer. So, When Is It Time to Call a Roofer? Any leak should be taken care of as soon as possible. Some homeowners choose to set a bucket under their small attic drip but notice that wasn’t enough when dark water stains appear on their drywall. If you leak coming from the roof, it will only get worse as the leak expands. If you don’t act quickly, you could be facing serious damage and serious bills. Symptoms of leaks include water stains, crumbling drywall and warping of your home’s walls. Damage can happen without you noticing, so it’s important to look at your roof at least once every few weeks. You don’t have to get the ladder out and do a full inspection every couple of weeks (you should twice a year), but you should look at the roof. Look for common damage items like cracks, tears, rips, or punctures of the shingles and flashing, and missing or balding shingles. Take note of anything you see and call your local roofer. Give them a description of the problem, and they’ll match you with an expert who can diagnosis and fix the problem and return your roof to its former glory. It’s wise to call a roofer after a heavy storm that you think may have compromised the integrity of your roof. It’s also wise to call a roofer before you call your insurance agent. A roofer can determine if there is damage to your roof and if the damage warrants an insurance claim. If you call an honest and reputable roofer, they will be upfront about lack of damage if there isn’t anything to see. If you call an adjuster out to your property, you will be charged for a claim regardless of if there is damage to the roof or not. To avoid rising monthly insurance premiums and to get an accurate assessment of the damage to your roof call a roofer. If you have leaks (even small ones), notice damage or something “off” about your roof, or if you’ve experienced a severe storm, it’s time to call a roofer. 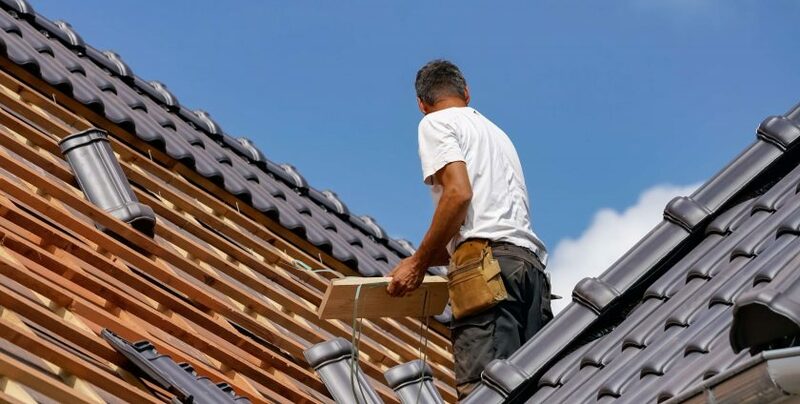 Have a local and reputable roofing company at the ready for any time you need to call a roofer quickly.